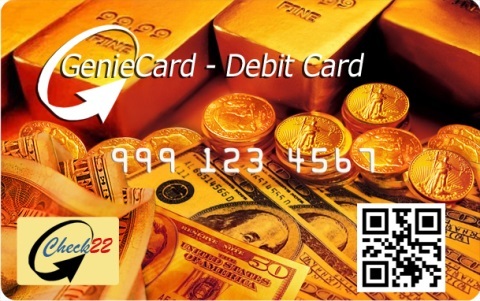 Las Vegas, Nevada – January 25, 2016 – Nevada based Genie Gateway announced that this week they are rolling out their new website http://www.GenieCard.com , dedicated to their GenieCard – a totally secure debit card instrument designed to address the needs of tens of thousands of unbanked merchants and their customers. An extension of the company’s Genie CashBox and Check 22, the GenieCard – first introduced in October of 2015 – makes it even easier for merchants and their customers to do business without using cash, even for those without access to traditional banking services. Thomas E. Skala, Genie Gateway CEO said “The GenieCard.Com website is the new way for merchants and customers to get to know the GenieCard. Imagine a debit card, with complete privacy, convenience, and security, designed specifically for unbanked merchants and their customers; a debit card which doesn’t contain any of your personal information – not even your name – just your ten digit card number. “Every day we are robbed of a little more of the privacy that we all cherish so much. Most people do not like living in a ‘glass house’, and are fighting to preserve what precious little privacy they have left. Smart shoppers wisely prefer not to share their credit card, banking information – or even their home phone number – online or when making purchases by phone”. Visitors to the website can request the cards, which are not personalized in any way, and activate the cards by cell phone or on the Internet. They can then use the cards for phone, online, mobile-based or in-person transactions with any merchant or individual who uses the Genie Gateway service. The company also distributes the cards, free of charge to it merchant customers, who can dispense them to their own customers for activation and use. “The GenieCard combines the best of TWO worlds,” explained Genie Gateway COO Randal Skala, ”the Genie Club – our closed loop member service, which utilizes the Genie CashBox – and Check22, the open loop service which lets members access their funds from any checking account, in any bank in the US. “The GenieCard is the fastest and safest way to send payments online, via mobile devices, in store or by phone, making it both easy AND safe for unbanked merchants and their customers to do business, WITHOUT using cash and WITHOUT sharing financial information”. Mark Newgreen, Genie Gateway CFO, then went into detail, “If the balance in your CashBox is enough to cover your purchase, then it’s processed automatically as a real-time, Peer-to-Peer payment. If your balance isn’t enough for the purchase, then your payment is processed automatically as a debit to the checking account you provided in your original Genie CashBox application.” The GenieCard will be a major game changer and everyone over the age of 18, with a valid checking account at any U.S. bank can qualify. “The GenieCard will change transaction processing for unbanked merchants; customers get to shop with privacy and convenience, and merchants get paid in real-time,” concluded Thomas E. Skala, Genie Gateway CEO.